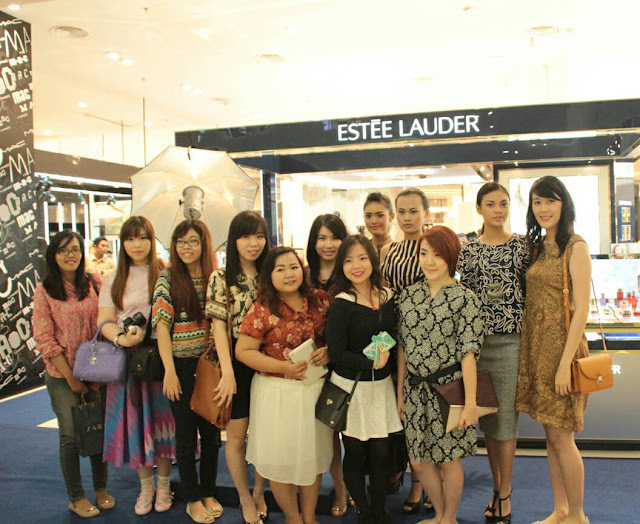 Hello ladies, Last week I was attended a makeup demo by Estee Lauder with my fellow bloggers. This event is to celebrate Surabaya's birthday. Thanks to ce Mindy and Sabrina for the information about this event. The event took place at Ciputra World Mall on May 23th. The traffic was very hectic at that day, I just knew later that there is a big event at Shangrila Hotel (which is accross the ciputra wold mall), and it is a Graduation from Unika Widya Mandala (My Almamater! congrats for the fresh graduate) that's why there is traffic jam around that area. I was a little suprise when I came to the venue. Because all I can see is my fellow bloggers (around 8 peoples) and 1 aunty with her daughter as the audiences. Days before the event, I saw an announcement at Clozette's Instagram that stated, they invited 50 girls to the event. They event provide free voucher and travel kit for the attendances. But I saw no one at the event (well, there are some girls that finally coming during the makeup demo, but it is only few, maybe around 5 peoples). The first Model will having a natural makeup. This model is my favourite (sorry I don't know her name). She is very pretty even without makeup and she smiles a lot. The MC explained about the basic first. Like usual, we must use skincare before apply any makeup. 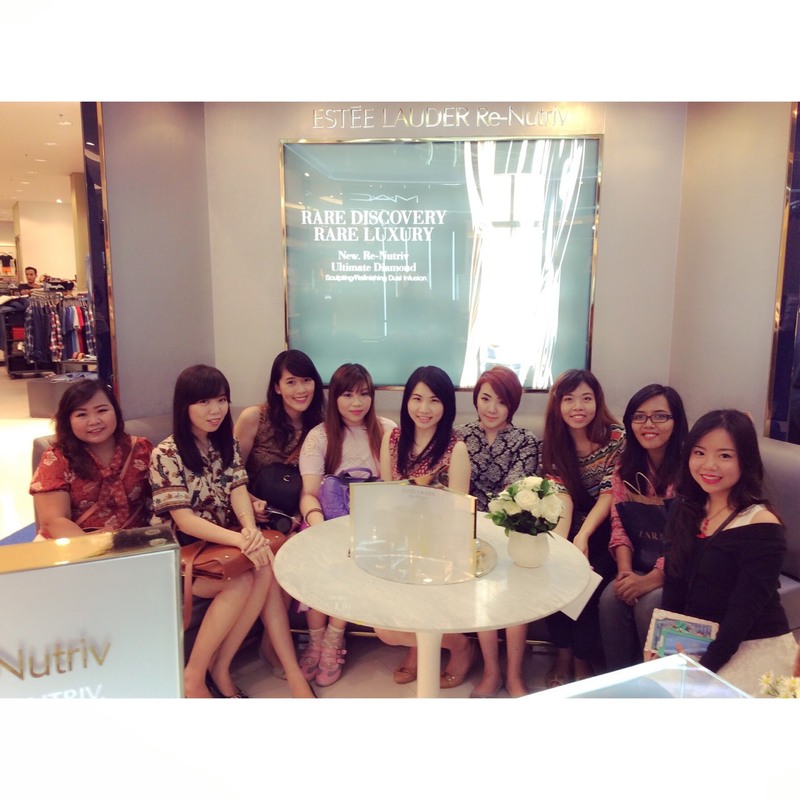 This time the MC explain about the famous Estee Lauder Advanced Night Repair Serum (Their number 1 Best Seller). On the right hand (left in the picture): she doesn't put anything and only spray with water. I think the result is really natural, and it helps to enhance the model's beauty face even more. Second model~ this time the theme is Glamorous makeup with smokey eyes. How to apply a highlighter? Draw number "3" strarted from above the eyebrow then blend it. This is the result for the 2 models. Along with the makeup demo, Estee Lauder also provides photo booth and snacks. Btw, the dress code for the event is Touch of Batik. 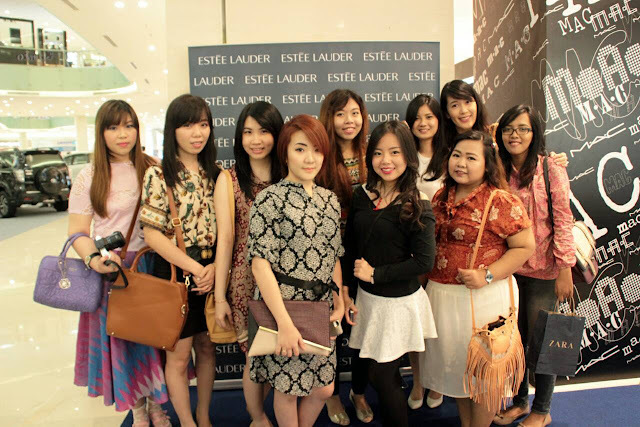 Thank you Estee Lauder Indonesia.